Chinese officials have busted a gang that was involved in smuggling iPhones worth 500 million yuan (roughly $79.5 million) into the country using drones, the media reported. "Shenzhen customs cracked a criminal network that smuggled imported electronic products using the unmanned overhead line, commonly known as 'flying line' in Shenzhen-Hong Kong border area," Legal Daily reported late on Friday. A total of 26 suspects have been reportedly arrested in connection with the case. 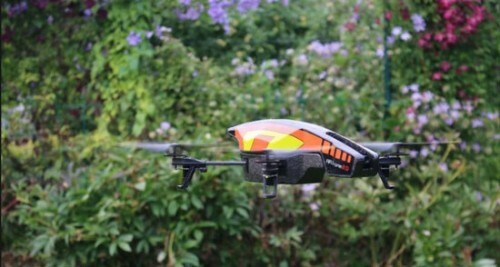 Authorities said the gang used drones to suspend two, 200 metre-long cables between buildings on either side of the border. Bags carrying smartphones were attached to the cables and then pulled over to Shenzhen, according to CNN. This comes soon after an incident where drones were flown illegally over an airport in southwestern China, causing chaos for local air traffic. Notably, it is not unusual to find people trying to smuggle iPhones into China. In February, a 43-year-old Chinese national who lived in the US pleaded guilty to taking part in a counterfeiting operation out of China that involved selling fake iPhones and iPads to users in the country.